Found 62 blog entries for March 2010. 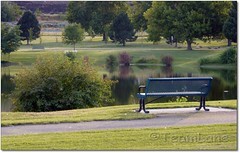 The West Richland Area Chamber of Commerce will be having their membership luncheon on Wednesday April 7, 2010. The lunch, sponsored by WorkSource, will begin at 12:00p at the Sandberg Event Center. The speaker at the event will be the General Manager of Benton Rural Electric Association. For more information about the event or to purchase tickets call 509.967.0521, visit the WRACC website, or email wrcc@westrichlandchamber.org. The City of Pasco is looking to redo the Lewis Street underpass making it wider and an overpass. Currently the underpass is so narrow that if two busses were to go through at the same time, their mirrors would clip each other. The project will increase public safety and needs to be done said Pasco City Manager Gary Crutchfield. As part of the Lewis Street Overpass project there are about 26 properties that the City is looking to purchase. Among these properties looking to be purchased is two of the Tri City Union Gospel Mission’s properties that are used for storing food and other necessities. Thirty festivals and events from throughout Washington State were honored with 2010 Summit Awards from Washington Festivals & Events Association (WFEA) for their achievements in marketing and community service associated with events held in 2009. The Summit Awards ceremony took place at the Northwest Festivals and Events conference held on March 9, 2010 at the Seaside, Oregon Convention Center. The Summit Award is a competition among Washington's festivals and event producers and recognizes those in the industry who are continually improving the quality and image of festivals and special events in the eyes of the community and media. Tri Cities Ranked "Top 10 Real Estate Markets to Watch in 2011"
Last week the Washington State University Board of Regents met last Friday at the WSU Tri Cities campus in Richland. At the meeting WSU Tri Cities Chancellor, Vicky Carwein, gave a presentation about the Tri Cities campus and how it is the fastest growing and most diverse of the WSU campus’. WSU Tri Cities has seen considerable growth in the health and science fields as. The Tri Cities branch has been growing steadily over the past couple of years in the 2006-07 school year there were 1,066 students enrolled, this year there are 1,507 students. The Tri-City Quilters' Guild will hold its 27th Annual Quilt Show and merchant mall, "Smell the Roses....Quilt Your Dreams" on Friday, March 26 and Saturday March 27, 2010, at the Three Rivers Convention Center in Kennewick. The hours will be Friday from 10 am to 6 pm and Saturday from 10:00 am to 5:00 pm. A $5.00 donation is requested at the door. The National Featured Artist is McKenna Ryan. The guild's Featured Artist is Barb Sherrill. The show will feature 400 quilts, a quilt raffle, merchant mall (35 vendors), demonstrations, Guild Challenge quilts, door prizes, silent auction, Hoffman Challenge, antique sewing machines, Joyce Larson (on-site quilt appraiser) and the "Cups for Cancer" exhibit (unusual/whimsical display of unique "bras"). The Office of the Superintendent of Public Education has chosen 174 schools statewide that will be receiving the 2009 Washington Achievement Award. Among the selected schools are four Tri City schools and eight schools from surrounding areas, who met several of the areas of growth. Schools chosen for the award were selected based on assessment data from the past three years. These will be awarded at ceremonies around the state on May 5. 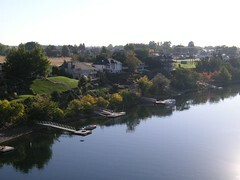 Lincoln, Ridge View, and Washington elementary schools in Kennewick, Wa; Prosser Heights Elementary School; and Waitsburg Middle School. 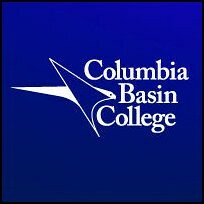 The Columbia Basin College Arts Center in Pasco has scheduled out their events for the month of April. The calendar of events includes an art exhibit, lectures, Jazz concerts, and LitFest 2010. Concert bands will perform all day with a guest appearance by The Jeff Hamilton Trio at 7:30p on Friday. Jazz bands will be performing all day Saturday. Both days will be in the Gjerde center and in the Theatre at CBC. An art exhibit by Garrit Van Ness will be on display April 12-May 6 at CBC. The exhibit, titled Evening News, will be presented by Van Ness on April 12 at 3:00p in the Theatre, at 4:00p there will be a catered reception in Esvelt Gallery.